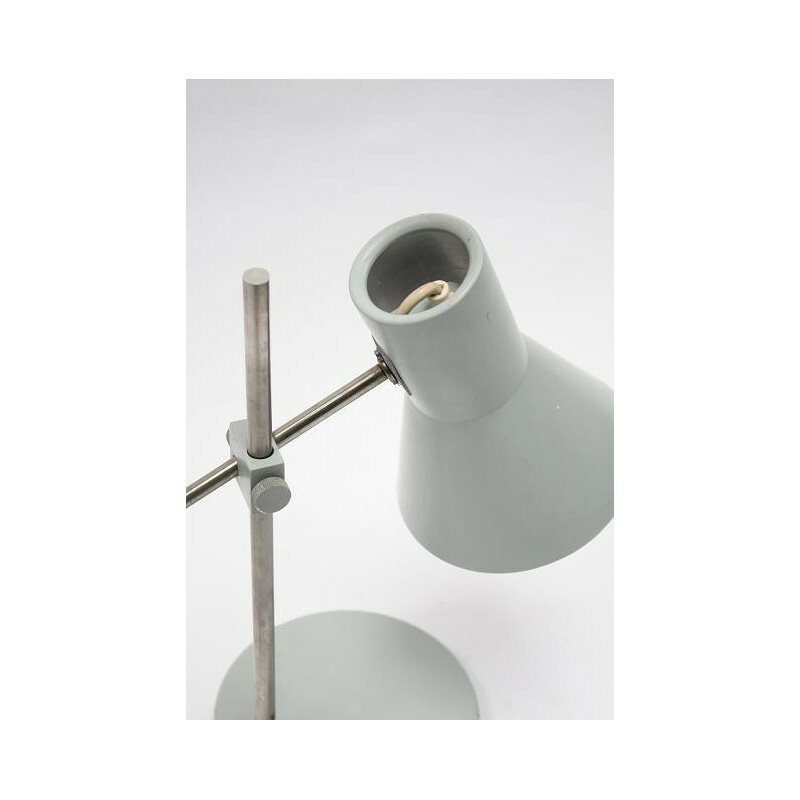 Desk lamp from the 1960's with grey shade and base, designed in a industrial style. 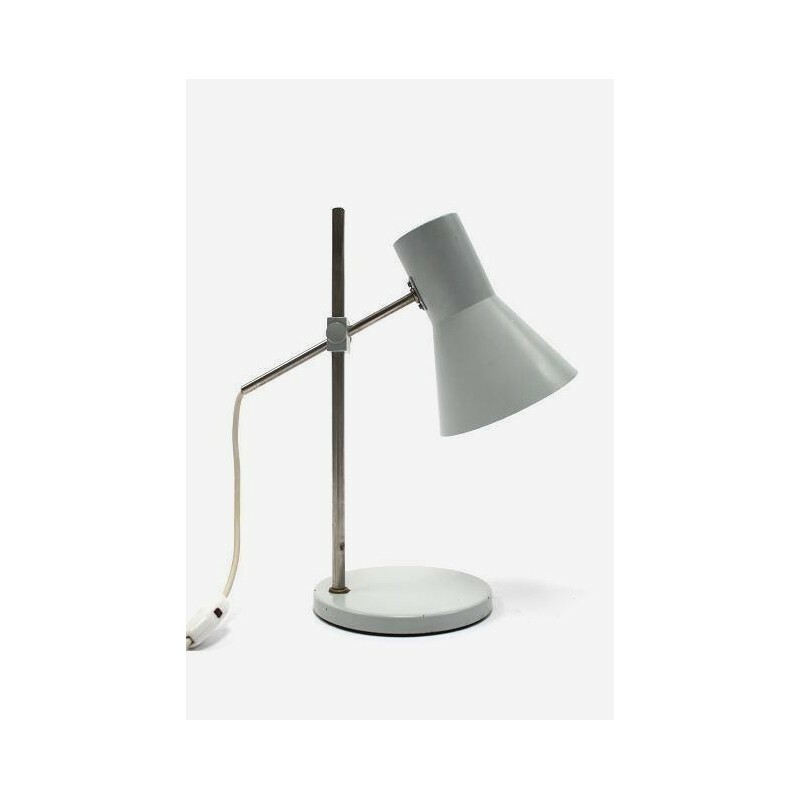 The lamp is probably from the Dutch brand Anvia. 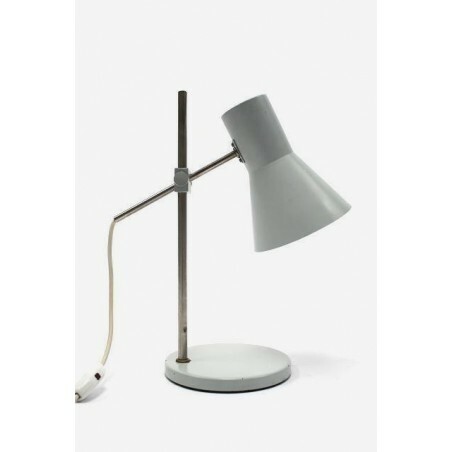 The shade is adjustable in heigth, the condition is good given it's age ( see also the detailed pictures). The dimension is 40 cm in height, the shade is 15 cm in diameter and 20 cm in lenght.